Katie is a passionate and engaging physiotherapist whose post-graduate physiotherapy training has included advanced manual therapy coursework in orthopaedics, as well as pelvic floor physiotherapy. Katie has also completed her certification in Contemporary Medical Acupuncture, enabling her to incorporate acupuncture/neurofunctional electro-acupuncture into her sessions with excellent results. Her advanced pelvic floor training has enabled her to specialize in treating pelvic health conditions such as incontinence, pelvic pain conditions, and pelvic floor dysfunction, in both women and men. She brings a unique perspective and skill set to her pelvic patients given her additional expertise in orthopaedics, making her a distinctive pelvic health practitioner. Katie obtained her Master of Science in Physical Therapy from the University of Toronto, and her Honours degree in Biomedical Science from the University of Guelph. 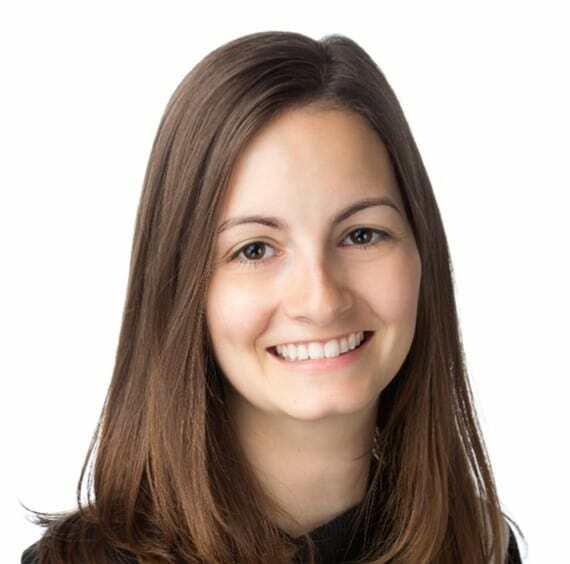 In addition to her post-graduate orthopaedic coursework, Katie regularly attends courses and conferences conducted by internationally renowned pelvic health experts, to keep her clinical skills and practices current in this evolving field. Her drive for exceptional knowledge leads to exceptional results for her orthopaedic and pelvic health patients alike. Katie is an avid trail runner, obstacle course racer, and scuba diver, and she is passionate about helping her patients reach their own fitness and wellness goals, whatever they may be!